Capsys has been engaged in a large number of projects with myriad sustainable, energy reduction and resource utilization aspects. Capsys employs LEED Accredited Professionals, building scientists, energy efficiency experts and has created a corporate culture of sustainability. Capsys installs on various projects highly reflective roof surfaces that minimize the amount of heat-gain from the sun's energy. Through both vegetated surface-ready roofing materials and roofing medium that have an SRI of 78 or above the cooling costs of buildings are greatly reduced and the increase in ambient temperatures of surrounding areas are minimized. As standard procedure on all projects Capsys installs fixtures that markedly reduce the flow of water at almost every fixture. These savings in water use translate into lower water costs, less use in fossil fuels to heat water and conservation of precious municipal infrastructure. Capsys' experience and knowledge is a resource to any project. The technologies associated with gray-water storage and use, waterlessinnovations and other new advances in reducing wastewater and the associated impact on the environment. Prior to occupancy of any building that Capsys has produced qualified technicians and technical personnel test and verify all building systems. A regimented procedure is developed for the proper operation of all mechanical, plumbing and electrical systems. This process minimizes later issues related to proper functioning, occupant knowledge and maintenance. Capsys' team of energy professionals and engineers are at the leading edge of building energy performance modeling. Capsys uses the latest modeling software to assist owners in determining the optimal use of materials to realize the greatest return from reduced energy consumption. 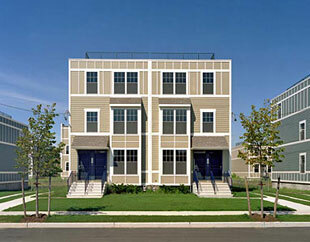 The USGBC recognizes that modular construction is an effective tool in reducing construction waste. Capsys actively engages in recycling of steel, cardboard and waste gypsum wallboard as a standard practice. All of these waste materials are not only diverted from landfills but are additionally incorporated into new materials. This practice reduces waste to unprecedented levels not attainable in traditional site construction. 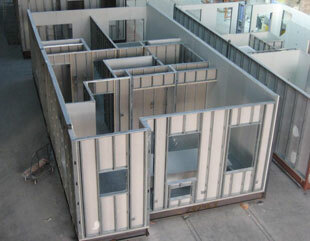 The Capsys system of constructing modules included materials with a very high level of recycled content. Structural steel, cold formed steel framing, gypsum wallboard, concrete with fly ash, insulation and many other components result in up to 25% recycled content for the modules without any additional resources or costs. The offsite construction of modular units permits greater control of the indoor air quality of the overall project site. Capsys incorporates many Low-VOC and low-emitting materials as standard practice.